We believe knowledge is key when it comes to creating the right products for your baby. 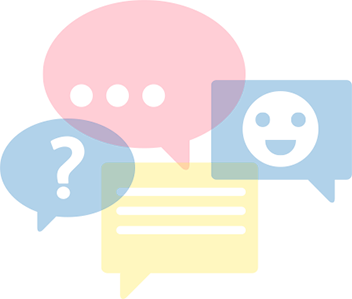 Through continuous research, we have made unique discoveries about the unique needs of the little ones—discoveries that help us care for your baby in newer, better ways. You know that feeling when you gaze into your baby’s eyes? We share that same feeling. That’s why we spared no effort to understand babies’ eyes and unearth ways to protect them. Babies blink only 2 to 5 times a minute and are still developing their tearing function. This makes them susceptible to eye irritation from contaminants. Understanding babies’ eyes has always been the focus of JOHNSON’S® researchers. 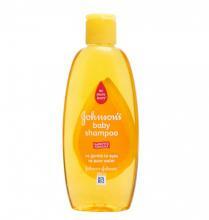 That is why in as early as 1953, we introduced JOHNSON’S® baby shampoo, the first specially formulated product that was as gentle on babies' eyes as pure water. Further research led to the NO MORE TEARS® formula that is now widely used in JOHNSON’S® body cleansers, JOHNSON'S® baby TOP-TO-TOE™ baby wash and JOHNSON'S® baby bubble bath & wash.
More than a trademark, the NO MORE TEARS® label is a sign of reassurance to mothers that JOHNSON'S® knows what it takes to care for their babies’ eyes. Scent plays an integral part in your baby’s healthy development. The feelings of safety, happiness and ease that your touch creates are strengthened even more when you use products that enhance the massage experience through the power of scent. Stimulating fragrances have been shown to aid brain development in babies during the first three years. We use fragrances in our products because consumers want them, preferring them in many cases to products that are fragrance-free. We continually make fragrance choices to ensure we’re always meeting consumer and safety needs. Fragrance oils have been used for thousands of years to enhance, soothe and calm human experiences. Some may claim that essential oils are a safer alternative, but actually, there is more safety information supporting the use of fragrance oils in baby and beauty personal care products. Research has found that a pleasant fragrance during bath time can increase relaxation for both baby and parent. You only have to touch a baby's skin to know how delicate it is. For it to be an effective barrier against organisms, toxins, irritants and allergens, it not only needs more care, it needs the right care. At JOHNSON'S®, we have been relentless in our research to better understand babies’ skin. Our studies span non-invasive measurement techniques to clinical assessments by dermatologists and pediatricians. And the learnings have led us to many breakthroughs. We have uncovered, for instance, that although babies’ skin is more hydrated than adults’, it loses water more quickly. This proneness to dryness, particularly during the first 12 months of life, means it needs higher levels of moisture to avoid breaks in the skin that could result in infection. Such findings have led JOHNSON’S® to pioneer innovative skincare solutions for babies, most notably JOHNSON'S® baby lotion. 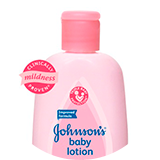 Created from a formula that recognises the unique differences of babies’ skin, JOHNSON'S® baby lotion earns the CLINICALLY PROVEN MILDNESS™ trademark, and is just one of many to do so. What goes into a fragrance? While the exact contents of a fragrance oil are considered proprietary, we want you to know that the fragrances we make are created by combining only ingredients approved by the International Fragrance Association (IFRA),* the world’s leading authority on the safe use of fragrances. To arrive at our fragrance policy, we follow all IFRA allergy and irritation restrictions as well as those of regulatory safety authorities around the world.